Boasts 33 Highway MPG and 23 City MPG! 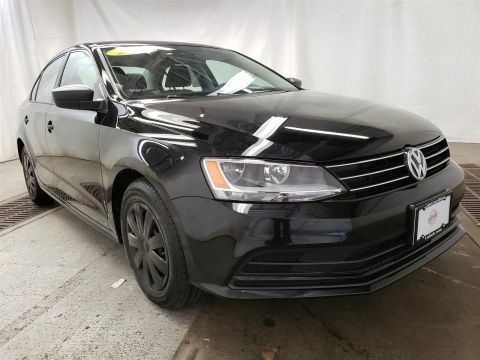 This Volkswagen Jetta Sedan boasts a Intercooled Turbo Premium Unleaded I-4 2.0 L/121 engine powering this Manual transmission. Window Grid Diversity Antenna, Wheels: 17 Bathurst Alloy, Wheels w/Silver Accents. Variable Intermittent Wipers, Trunk Rear Cargo Access, Trip Computer, Transmission: 6-Speed Manual, Tracker System, Tires: 17 All-Season, Systems Monitor, Strut Front Suspension w/Coil Springs, Streaming Audio, Steel Spare Wheel. 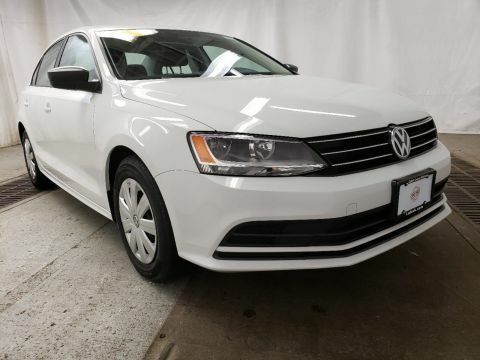 As reported by The Manufacturer Summary: The 2014 Volkswagen Jetta is a gorgeously sculpted sedan with daring angles and sumptuous curves. It has a high-end look with sleek aerodynamic lines, and comes in 6 models for buyers to choose from. The base Jetta S is equipped with a 2.0-Liter, 115 Horsepower, 4-cylinder engine with your choice of a 5-speed manual or 6-speed automatic. One level higher is the SE, which has the same transmission choices as the S, but with a 170 Horsepower Turbocharged engine instead. The SEL is the next trim higher, with the same engine as the SE, but with an automatic transmission. The TDI with its 140 Horsepower engine gets an incredible EPA estimated 42 MPG on the highway. 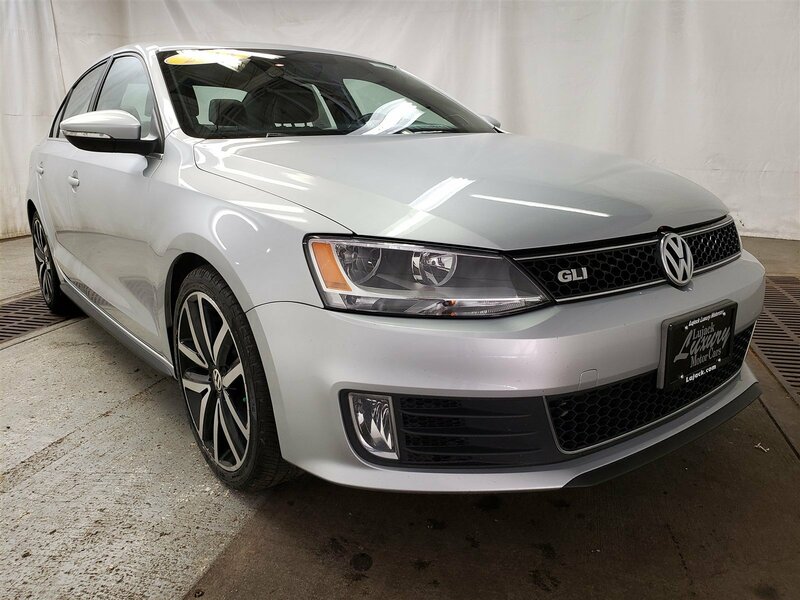 For more of a rush, the GLI is ready to take off with its turbocharged 210 Horsepower engine, sport suspension, sport steering wheel, and front sport comfort seats. For maximum fuel efficiency and an exciting drive, the Jetta Hybrid is available. 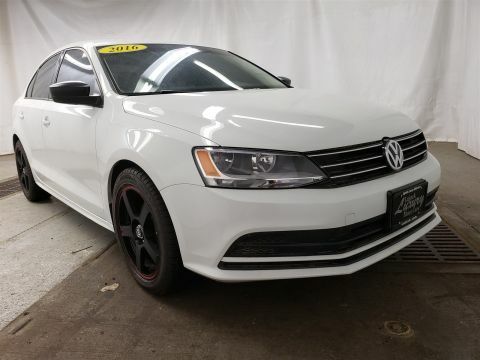 It has a 170 Horsepower turbocharged engine, a 7-speed DSG automatic transmission with Tiptronic, and gets an EPA estimated 48 MPG on the highway. The interior of the Jetta is sophisticated, roomy, and stylish. It comes standard with a multi-function trip computer, an auxiliary input for your radio, and power windows. Higher trims have available features like Bluetooth audio streaming, a power sunroof, push-button start, touchscreen navigation, Fender Premium Audio, a Rearview camera, and heated front seats. For your gear, the Jetta has 15.5 cubic feet of cargo space, and 60/40 split folding rear seats. New for 2014, the Volkswagen Car-Net communication system is available on most trims. It gives you services like roadside assistance, and crash notification. Safety features include anti-lock brakes, stability control, and the Intelligent Crash Response System. In a collision it deploys the airbags, disables the fuel pump, turns on your hazard lights, and unlocks the doors. Come drive the 2014 Volkswagen Jetta today!